CBC (Europe) GmbH belongs to the CBC Group, one of the largest manufacturers of video surveillance system, and can look back on 23 years of successful business in Germany. CBC is an international trading company which was founded in Tokyo, Japan, in 1925 by Mr. Utaro Doi. Advanced video surveillance products are being continuously planned, developed and produced at our Japanese parent company in Tokyo. Numerous innovations have been successfully launched on the market, especially in the field of lens and camera technology. The lenses we have been producing for 30 years are developed and manufactured in our overseas works. Our leading market position is highlighted by our turnover of 2 billion euros per year. Alongside chemicals, video surveillance technology is the largest division of the German branch. CBC (Europe) was established in 1986 with the chemicals and CCTV divisions, the medical device division came in 2001 and the Flooring division in 2003. CBC is a trading manufacturer with its registered office in Düsseldorf. CBC (Europe) GmbH is a reliable partner thanks to our more than 20 years of experience and a competent team of some 50 employees. We offer our customers reliability, continuity, unique value for money, fast delivery and an excellent customer service. The importance of product information and the further training of our technicians, field workers and customers is a top priority for us. 30 years ago the CBC Group started off with the brand computar which is regarded as the trademark for all optical components. With this brand the CBC Group is one of the world's leading lens manufacturers. The brand GANZ, which is regarded as the trademark for all electronic products of the CBC Group, was introduced in 1999. The company unites the brand and electronic products under one roof. 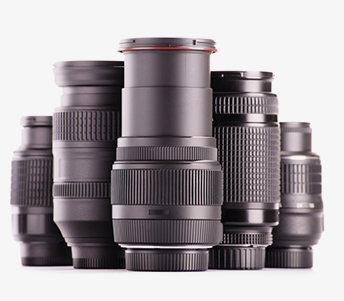 The product spectrum ranges from lenses, cameras, infrared lighting, protective housings and monitors down to video management systems, recording and transmission technology as well as IP transmission units. 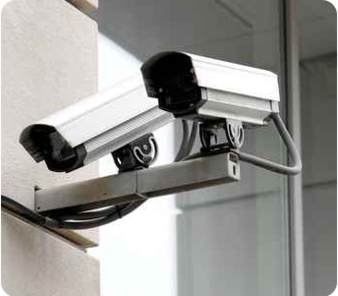 CBC is a supplier of technically and economically convincing CCTV solutions which cover all areas of video surveillance. Thanks to the new developments and extensions to our products, we have created a comprehensive product range which can easily be integrated into all aspects of CCTV permitting us to offer our customers individual products or all-inclusive solutions. As a manufacturing commercial enterprise, CBC continues to count on new technologies, above all digital surveillance products. CBC supplies its customers with top-quality products. Our aim is to be the first choice for CCTV buyers. Customer proximity is the focus of our corporate philosophy - from project development down to project implementation. Rapid availability of all products thanks to stockkeeping - there is a store at almost all sites - supports our claim of being able to always provide the customer with optimum performance in the shortest possible time. On-site installation companies are supported by first-hand know-how, the technical service, regular seminars on aspects of CCTV technology and a highly motivated team. The CBC network covers the world with 3,000 employees. There are now 27 branches throughout the world (Europe, America and Asia). They ensure fast supplies and support for our customers. CBC (Europe) GmbH is responsible for continental Europe (apart from Italy, Spain, Portugal and Greece). Our European branches can be found in London, Düsseldorf, Milan, Warsaw and Moscow.